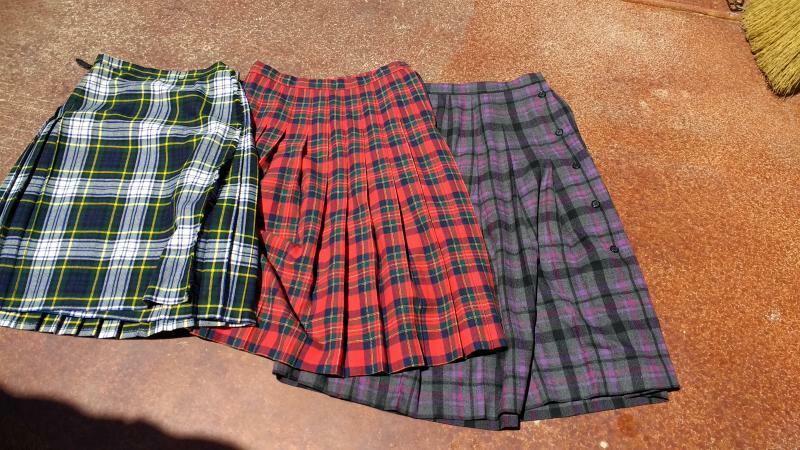 dance.net - Wool Kiltie/Kilt Skirts (10246250) - Read article: Ballet, Jazz, Modern, Hip Hop, Tap, Irish, Disco, Twirling, Cheer: Photos, Chat, Games, Jobs, Events! *The Blue w/Yellow stripe suitable for competing. The other two would be appropriate for casual wear. What are the measurements on thesee?